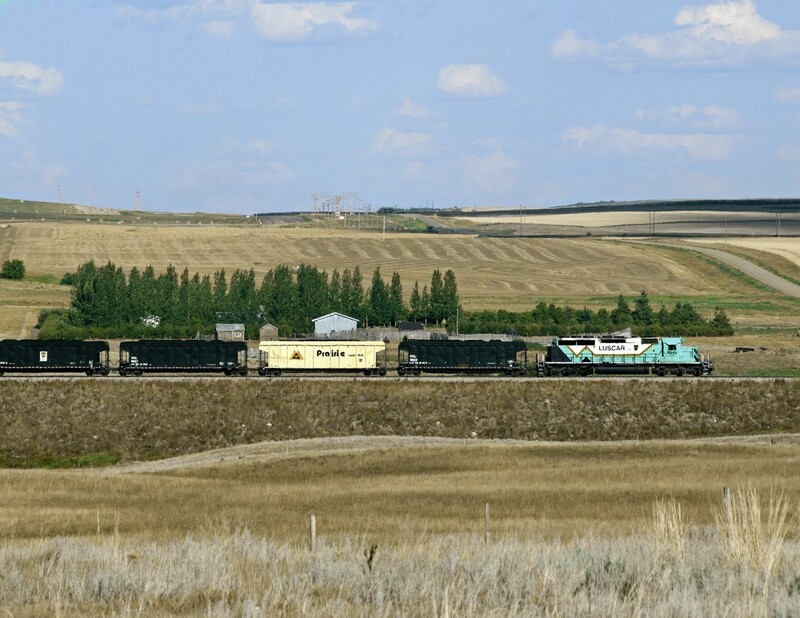 Railpictures.ca - Bill Hooper Photo: Having just loaded coal at the mine, Luscar Coal’s shuttle heads south over a five mile line to the Saskatchewan Power Co. station just east of Coronach in the Poplar River Valley | Railpictures.ca – Canadian Railway Photography – photographie ferroviaire Canadienne. Very interesting image, Bill. It seems there is something different in railroads to be viewed in all parts of Saskatchewan these days.